There aren't enough times when a substance that tastes good and makes you feel good is actually really good for you. Coffee is one of those things. If you like coffee, you will be happy to know that the data is quite clear. Coffee drinking decreases the chance of Alzheimer's and cardiovascular disease. Now, new information is showing that it does even more than that - like make you live longer. Researchers looked at nearly half-a-million British men and women over a 10-year period. Some of them drank coffee, and some of them abstained. Of the coffee drinkers, 154,000 or almost one-third drank two to three cups a day, and 10,000 drank at least eight cups daily. During the next decade, 14,225 of the men and women died, mostly of cancer or heart disease. The results showed that the coffee drinkers had a 10-15% lower risk of death from all causes over 10 years than abstainers. And this is interesting. The longevity boost was seen with all kinds of coffee including instant, ground, and decaffeinated. The authors of the study point out that this is not a new finding. It just repeats the findings of a similar US study. But, it is the first large study to show a benefit even in people who for genetic reasons have a hard time metabolizing caffeine. How does coffee work these miracles? 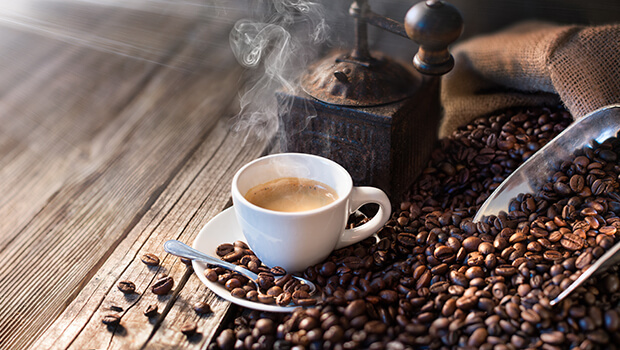 Lead author Erikka Loftfield, a researcher at the U.S. National Cancer Institute, said coffee contains more than 1,000 chemical compounds including polyphenols and antioxidants, which help protect cells from damage. Other studies have suggested that substances in coffee may reduce inflammation and improve how the body uses insulin, which can reduce chances for developing diabetes. And here's a little tip from me to you. When you drink your coffee, add 1-2 tsp of butter. It decreases the caffeine effect, and makes the coffee taste better.